Eating a pear a day could be a delicious secret to winding back the winter kilo creep and hitting the ground running coming into spring. 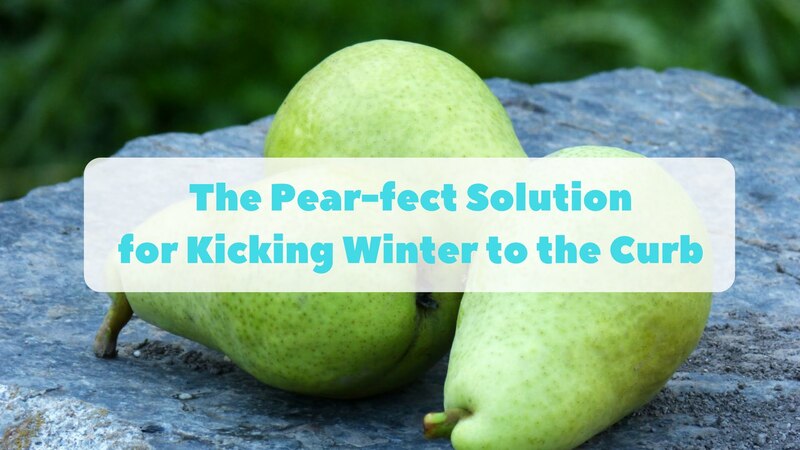 Check out my interview with Australian Pears below to find out how Pears will benefit your health this winter! “But it’s about much more than poo! A healthy digestive system and gut helps you feel great and boosts your energy levels – perfect for that extra little kick as you get back into exercise in spring. It also helps your body absorb nutrients from food and builds your immunity.”1, A pear’s high fibre content (4.1g of fibre in one medium pear1) also makes it one of the highest fibre fruits available and a good snack option if you are looking to lose weight1. “Pears are an easy fibre fix, providing both soluble and insoluble fibre. As well as being great for digestive and gut health, the fibre hit helps to keep you feeling full for longer and that may be helpful if you are trying to stop or wind back winter weight gain,” Ms Gawthorne said.1 “I love adding pears to a smoothie for a post-workout snack, using them to top my morning oats or slicing them into my lunchtime salads. They are such a versatile fruit, it really is easy to make them a regular part of your diet. Pears are low GI, low allergenic, rich in protective plant compounds and contain potassium, magnesium and vitamin C.1 “Just remember to eat them skin and all to gain all the goodness, as a lot of the antioxidants and phytochemicals are contained near or in the skin,” she says. Australian pears are grown around the country and are available from early autumn until late spring. There are eight varieties grown in Australia each with a unique flavour and cooking qualities. For more information on Australian pears and recipe ideas, click here.